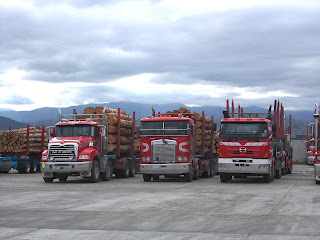 A few photos from various places. 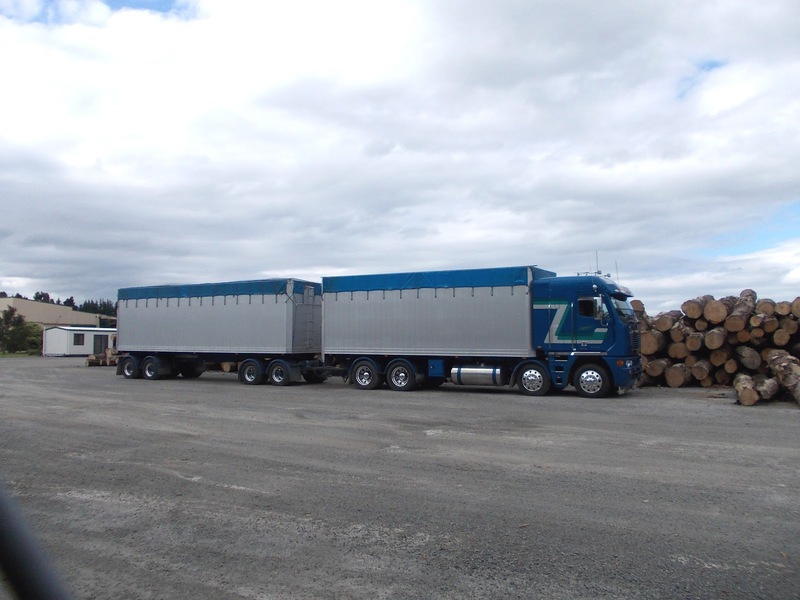 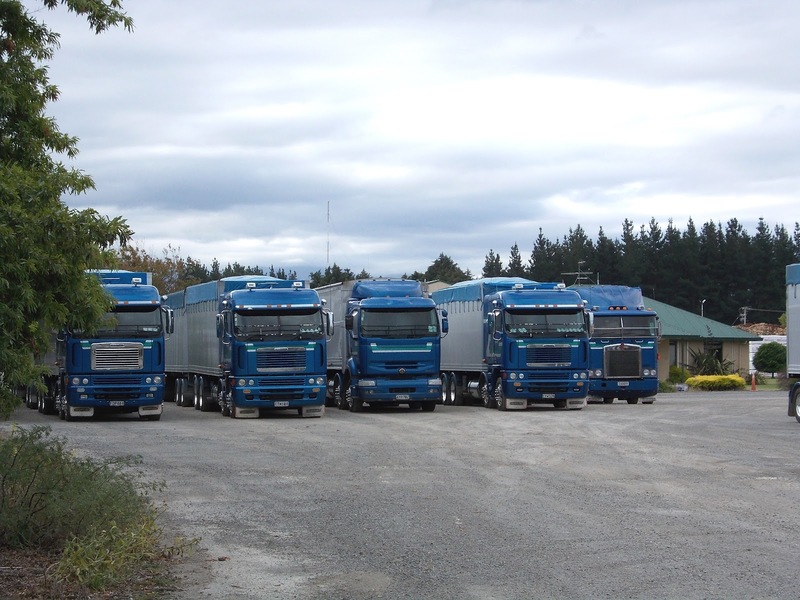 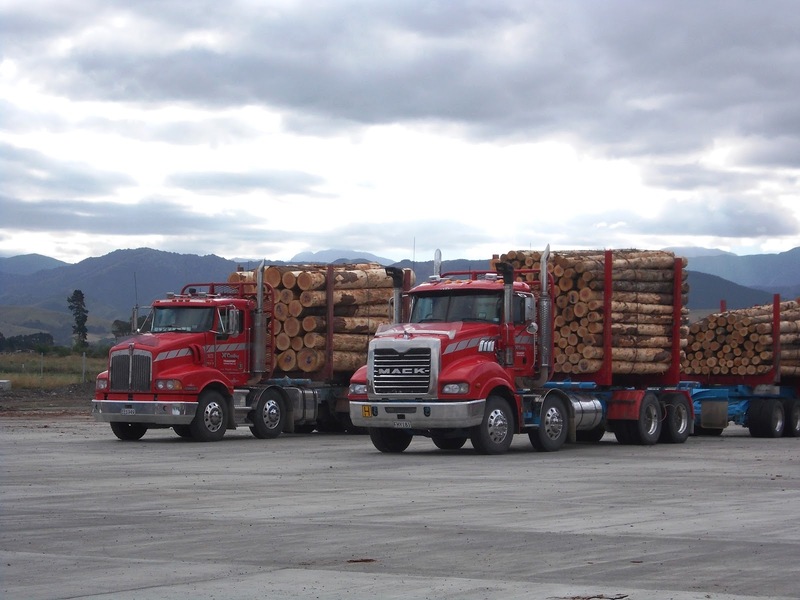 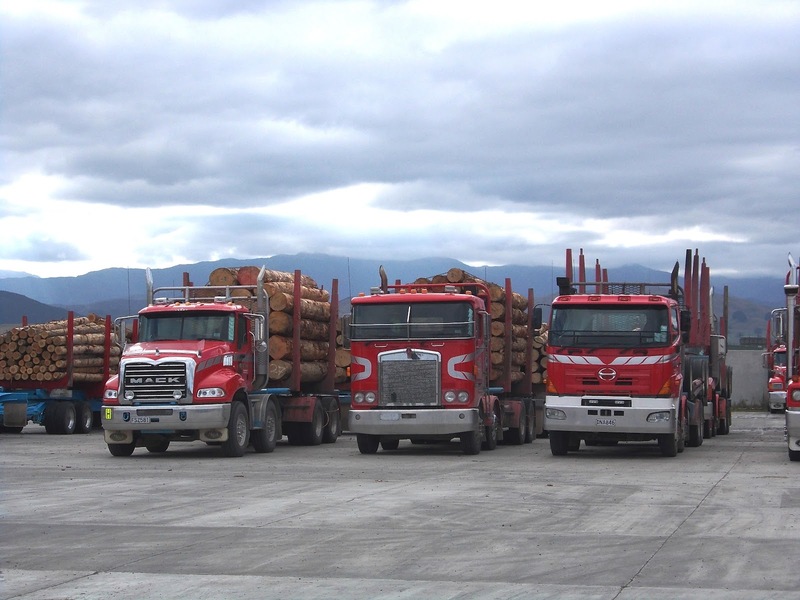 Kenworth and Mack in McArthy's yard at Waingawa just south of Masterton. The Renall's line up of Freightliner, Mack and Kenworth. Slightly further north at Solway is McAuley's, with their newer trucks now wearing flames. 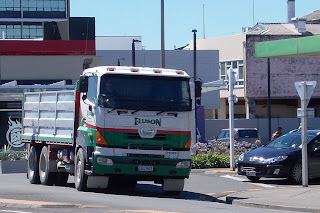 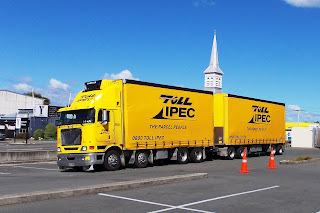 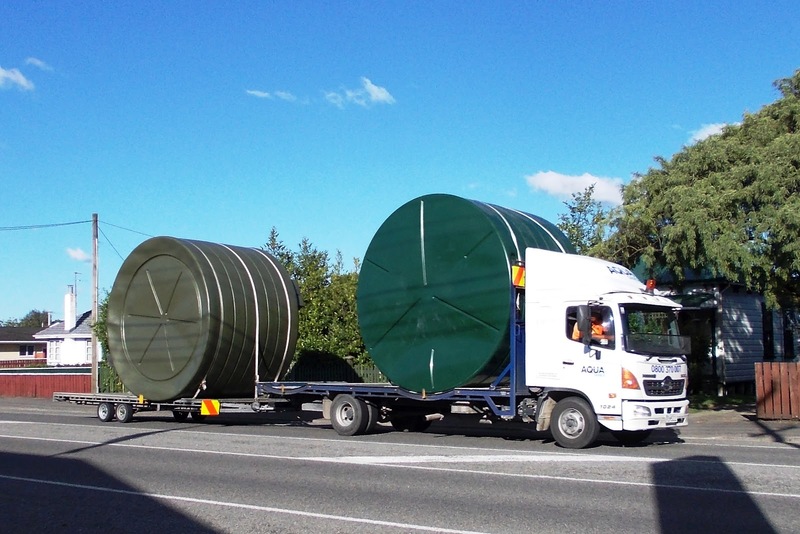 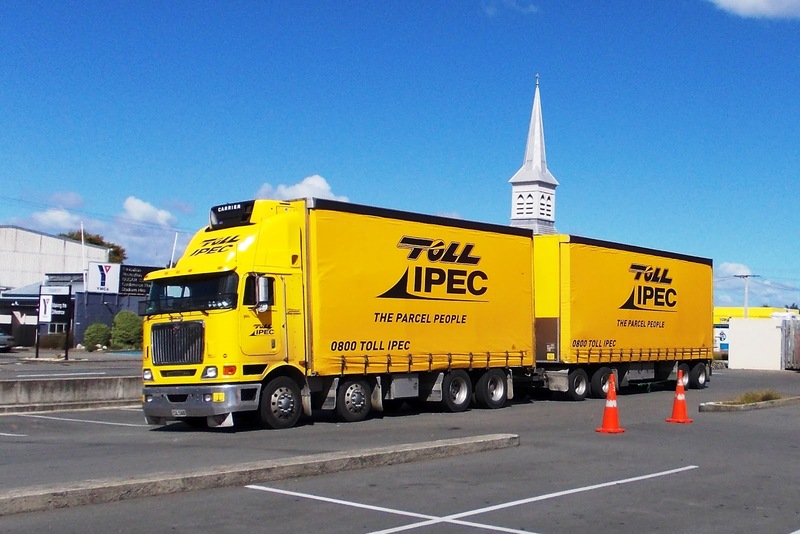 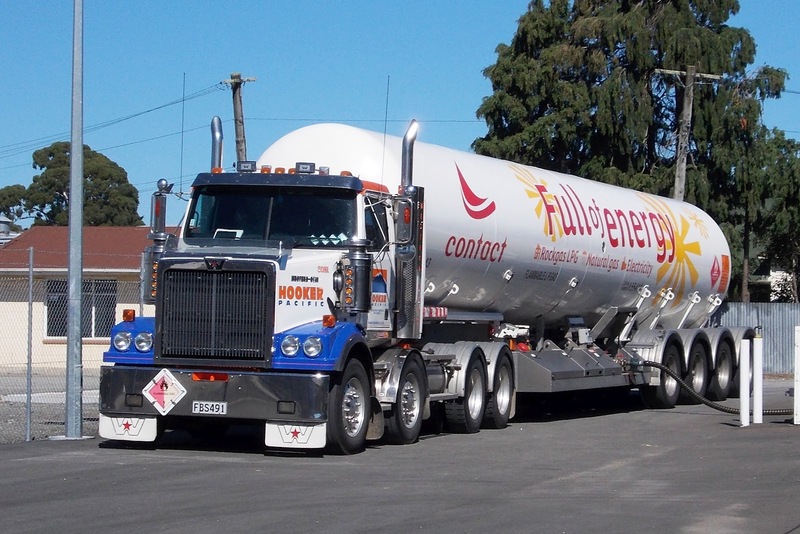 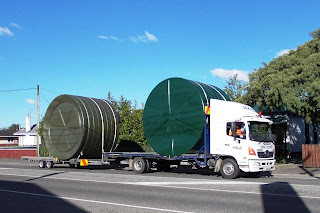 An Ellison Cartage Hino comes through the Chapel/Lincoln roundabout in central Masterton. 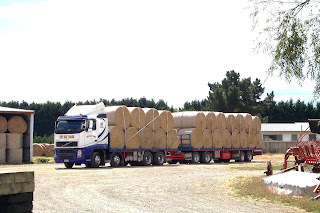 The Hay Barn in Holdsworth Road just to the east of Masterton, specialises in growing, storing and transporting hay. 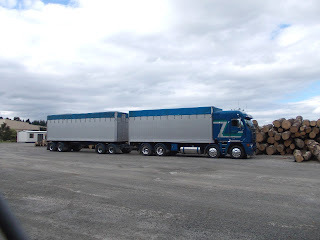 Here is one of their FH Volvos all loaded up for a delivery. 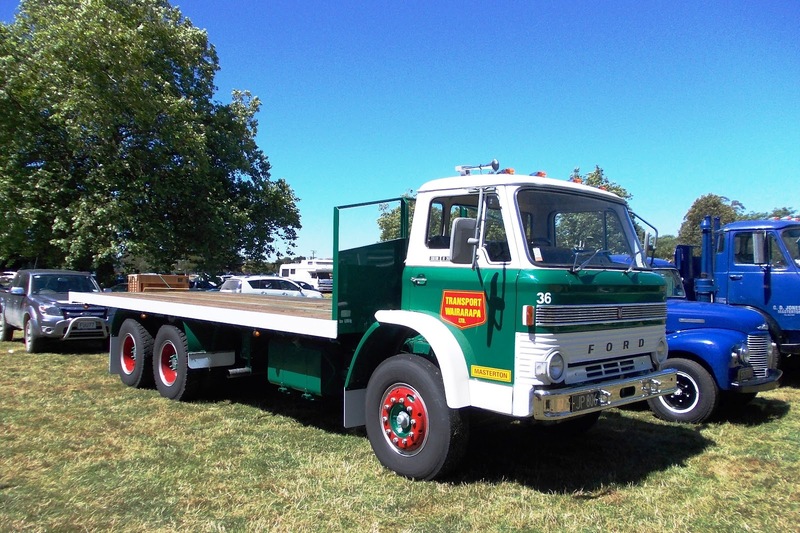 Transport Wairarapa has long gone, but recently a group of local truck enthusiasts, including the Garrity brothers and Richard Herrick restored this D series Ford (a 1980 DT2412) and painted in original Transport Wairarapa livery. 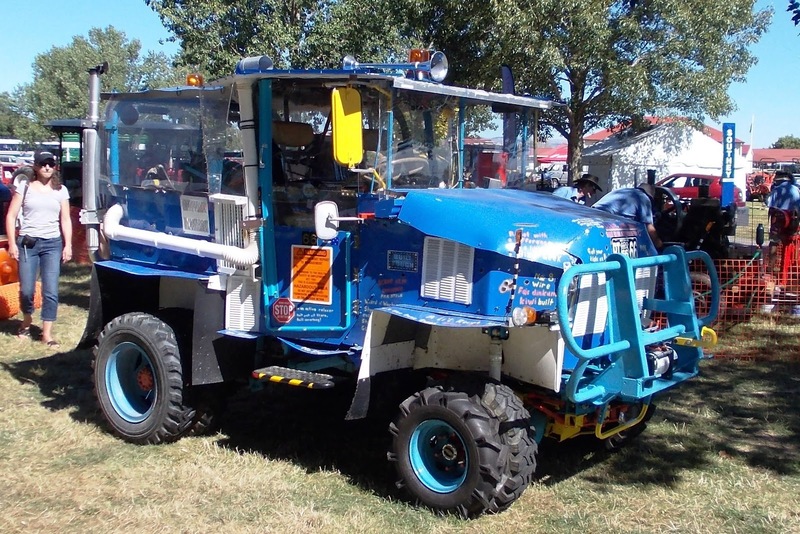 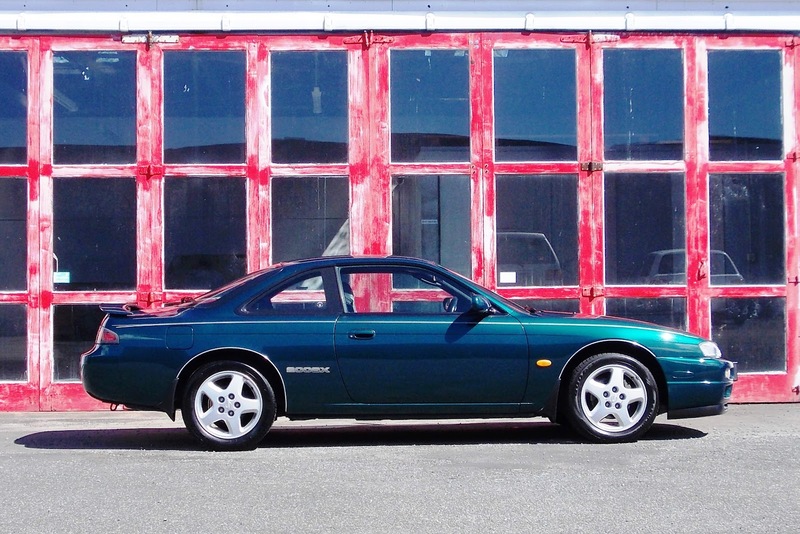 Displayed at the Masterton Agricultural and Pastoral Show. 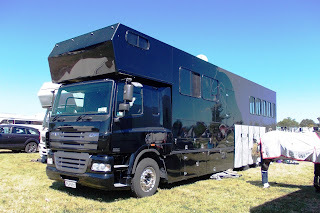 430 horses of DAF for carrying (I'm not sure how many) horses. 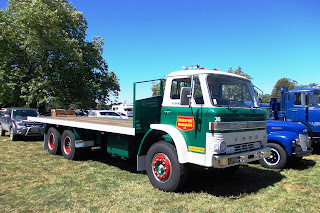 Also at the A&P show. Also at the show was this homemade 4WD "Beast". The interior was even more horrific than the outside. 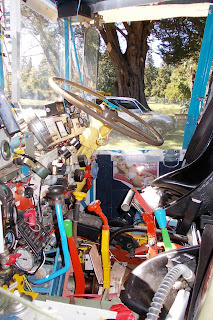 It was a mass of levers, switches, dials and knobs. 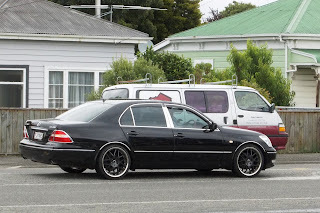 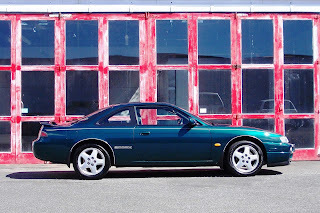 I'm used to seeing the old and rich driving LS430 Lexuss, but I guess they are getting cheaper now and I have seen this one with non standard wheels and additional chrome parts around town recently. 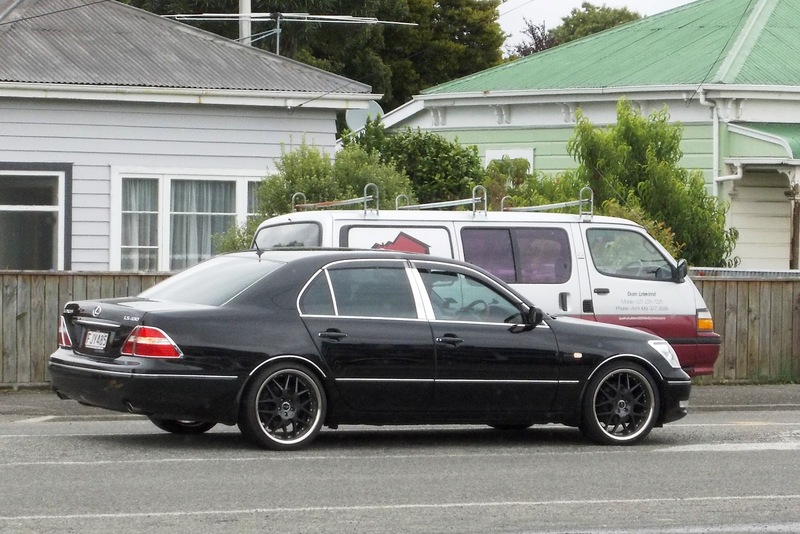 Obviously owned by a younger person. 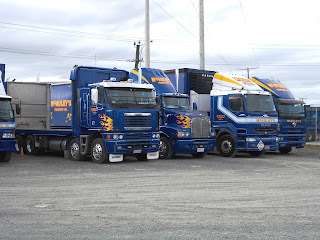 Representatives of three brands in McCarthy's yard.